After a month long break, Patrik Skoog is this week’s guest on Train Wrecks! Patrik started his career in the late 90s with this seminal hard techno group “Headroom.” Soon after, he went on to have a highly prolific solo career spanning a variety of genres and aliases. His techno period accumulated around the mid 00s with releases on Drumcode. He then started his “Agaric” alias which was his main project for much of the past 10 years. 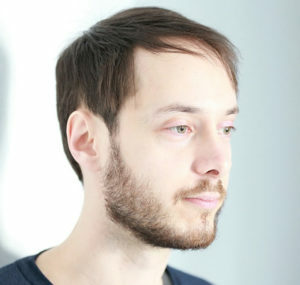 In this period, he released numerous EPs on his label ‘We Are‘ and an album for Josh Wink’s Ovum Recordings. In recent times, Patrik has started going back to hits roots with tougher, darker tracks on his new Sample+Hold record label. Dustin caught up with Patrik to discuss a variety of topics including studio work flow, rock n roll, and food.